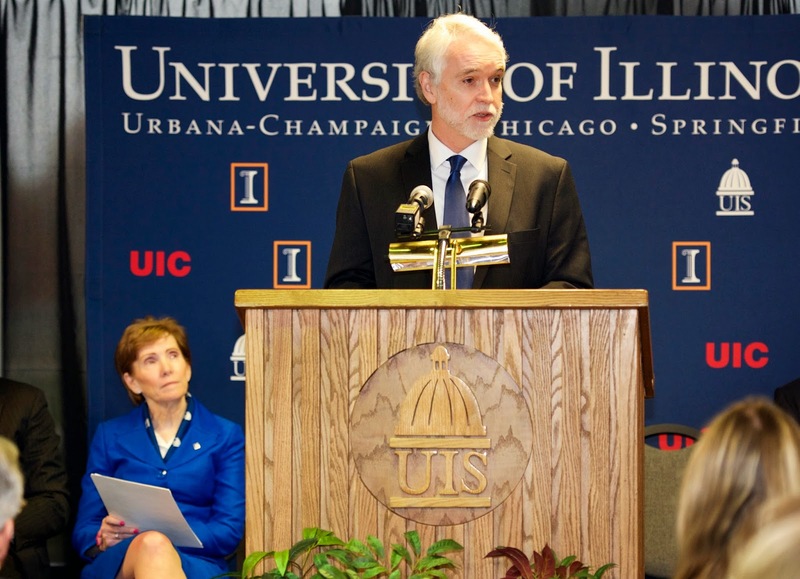 Timothy L. Killeen, vice chancellor for research and president of the Research Foundation of the State University of New York (SUNY), was named the 20th president of the University of Illinois Wednesday, pending formal approval by the Board of Trustees. Killeen was welcome to the Springfield campus during an introductory event. Killeen, 62, who would succeed retiring President Robert Easter, brings the experience of more than three decades as a teacher, researcher and administrator in public higher education and in top leadership positions with national scientific research agencies. His work at SUNY mirrors core missions of the University of Illinois – supporting pioneering research and scholarship across disciplines, and taking it to the marketplace to drive economic growth. As president of SUNY’s Research Foundation, Killeen is chief executive officer of the largest, most comprehensive university-connected research foundation in the nation, administering about $900 million annually across SUNY’s statewide network of 29 state-supported research campuses. Combined with his role as vice chancellor for research, he is at the center of SUNY’s strategy for research growth and works with campus leaders to increase basic, clinical and translational research. He also chairs SUNY’s Patent and Inventions Policy Board, which seeks to promote economic development by turning research discovery into new businesses, products and services. Killeen spent more than 20 years on the faculty and in administration at the University of Michigan, and served as assistant director for geosciences at the National Science Foundation (NSF) before joining SUNY in 2012. The independent federal agency provides nearly a quarter of federal research funding for U.S. colleges and universities, and the University of Illinois at Urbana-Champaign ranks third among U.S. universities in NSF funding. A leading researcher in geophysics and space sciences, Killeen earned his Ph.D. in atomic and molecular physics from University College London at the age of 23. In 2007, he was elected to the National Academy of Engineering, which honors the world’s most accomplished engineers. Killeen was selected as the next U. of I. president from a field of about 200 candidates and emerged as the top choice in the eight-month search because of a unique background that will help build on the University’s long legacy of contributions to progress and economic growth, said Board of Trustees Chairman Christopher G. Kennedy. “Academic research institutions are the greatest renewable economic resource this country has ever had, and we are thrilled to have one of the greatest living researchers in America to lead the University of Illinois,” Kennedy said. Killeen said the University of Illinois is a premier university with a nearly 150-year legacy of excellence in education, research and service to the state and nation. “I am thrilled and deeply honored to have been selected by the University of Illinois Board of Trustees to serve as the next president of this incredible university,” Killeen said. “The University of Illinois, with its three distinctive world-class campuses, stands poised to build on its tremendous and ongoing history of accomplishment to envision and define the future of public comprehensive higher education. As president, Killeen will lead a university that is the state’s largest educator with more than 78,000 students on its three campuses in Urbana-Champaign, Chicago and Springfield, along with satellite medical campuses in Peoria and Rockford. The Urbana-Champaign campus is part of the Big Ten Conference, the Chicago campus is home to the nation’s largest medical school and a hospital and clinics that provide more than 450,000 patient visits annually, and the Springfield campus is regarded as a national leader in online education. The University of Illinois is a top-ten research university with nearly $1 billion in separately funded research, including $549 million in federal funding that ranks 14th among universities nationwide. The university has a $5.6 billion annual budget and more than 29,000 employees across its campuses. Before joining SUNY, Killeen spent four years as assistant director for geosciences at NSF, managing a funding portfolio that grew from $750 million to $800 million during his time at the agency. He is founding co-chair of the Belmont Forum, which gathers representatives of leading government funding agencies worldwide to collaborate on global climate change research, and the Science and Technology Alliance for Global Sustainability. He also has served as a Lyall Research Professor at the University of Colorado, and from 2000-2008 was director of the National Center for Atmospheric Research, one of the world’s premier atmospheric research centers. During his more than two decades at the University of Michigan, he was a researcher and professor of atmospheric, oceanic and space sciences, and also served as associate vice president for research. Killeen has authored more than 150 publications in peer-reviewed journals, along with 300 other publications and papers. He also has served on various White House committees and task forces, and has testified on multiple occasions to Congress and the Executive branch. He is a native of Wales and is a U.S. citizen. He earned his bachelor’s degree and Ph.D. at University College London. His wife, Roberta M. Johnson, has a Ph.D. in Geophysics and Space Physics from the University of California at Los Angeles and is executive director of the National Earth Science Teachers Association and clinical professor in the Department of Atmospheric and Environmental Sciences at the State University of New York at Albany. They have three children. Killeen would become the 20th president in the 147-year history of the University of Illinois, which was founded in 1867 as one of the nation’s original land-grant universities. He would succeed Easter, who has served as president since July 2012. Before becoming president, Easter spent his entire, more than 40-year career as a faculty member and senior administrator in Urbana-Champaign. He joined the faculty in 1976 after earning his doctoral degree in animal science from the Urbana-Champaign campus, and later served as dean of the College of Agricultural, Consumer and Environmental Sciences, as interim provost, as interim vice chancellor for research and as interim chancellor from 2009 to 2011. Easter plans to continue his work as a researcher on the Urbana-Champaign campus after he officially retires as president on June 30. A complete biography and curriculum vitae for Killeen can be found at www.uillinois.edu/20thPresident. Ronald McNeil, Ph.D., dean of the College of Business and Management at the University of Illinois Springfield, has been appointed the PNC Distinguished Professor in Banking and Finance at UIS. 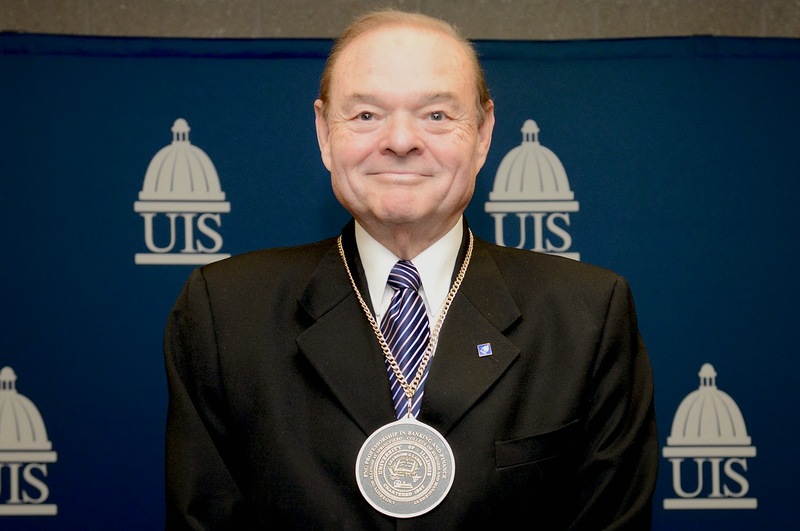 The announcement was made during a ceremony of investiture at UIS on November 17, 2014. McNeil became dean of the College of Business and Management and professor of Business Administration at UIS in 2002. He helped the college gain AACSB accreditation in 2007 and reaffirmation in 2012. He also started an international exchange programs for faculty and students in China, Vietnam and France. Under McNeil’s leadership, faculty publications in the College of Business and Management have increased fourfold. In 2013, McNeil worked to enhance UI Healthcare Administration by serving on the Five Member Steering Committee to improve/evaluate University Administration, and was principal investigator on three grants. Before coming to UIS, McNeil was dean of the Charlton College of Business at the University of Massachusetts Dartmouth for ten years. During this time, the College was endowed by a private donor and over $15,000,000 was raised in gifts and grants. Before this, he was associate dean of business at the Georgia College & State University and directed a number of special outreach programs. Prior to academia, he was president of a mining company, senior consultant to Fortune 500 companies and a manager for a not-for-profit organization. He has authored/co-authored over 50 publications, delivered presentations in China, Taiwan, Italy, France, Brussels, Oxford and the United States. McNeil received his Ph.D. and master’s degrees from the University of Memphis and completed his undergraduate degree at Ambassador College, in Bricketwood, England. PNC and the PNC Foundation have long histories of strengthening and enriching the lives of communities in which they live and work. They provide resources to seed ideas, foster development initiatives and encourage leadership. The Foundation makes it a priority to partner with local nonprofit organizations to enhance educational opportunities and promote economic growth. PNC's continuing support of a Distinguished Professor in Banking and Finance at UIS exemplifies this commitment. For more information, contact Jeff Lorber, UIS vice chancellor for development, at 217/206-6058 or jlorber@uis.edu. The University of Illinois Springfield Cox Children’s Center has received the Gold Circle of Quality designation, the highest rating possible, from ExceleRate Illinois, the state’s new quality rating and improvement system for early learning and development providers. "We are proud to receive the Gold Circle of Quality," said Stacey Gilmore, director of the UIS Cox Children's Center. "Providing quality in early learning and development will help our children be better prepared for success in school and in life." "Every early learning and development provider who participates in ExceleRate Illinois makes quality a priority,” said Theresa Hawley, executive director, Governor's Office of Early Childhood Development. 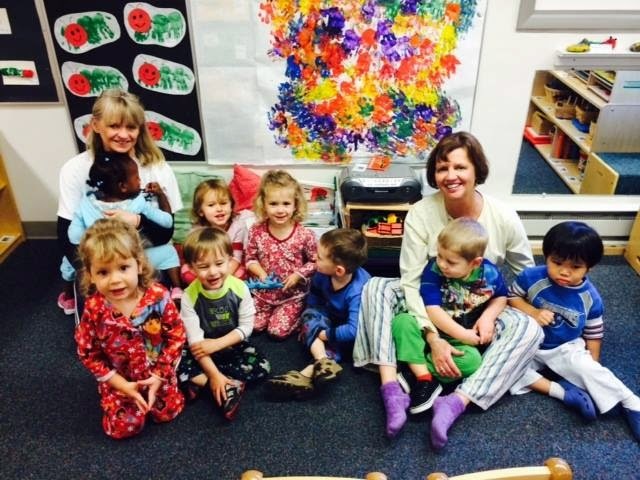 "The higher the designation, the higher the program demonstrated quality and comprehensiveness in meeting children's early learning needs," she said. ExceleRate Illinois helps families make more informed choices about their children's early learning. It establishes standards to help infants, toddlers and preschoolers develop intellectually, physically, socially and emotionally. Additionally, it provides a framework for early learning and development professionals to identify opportunities to enhance their knowledge and skills. The Cox Children’s Center was established in 1970. The center is a resource for university students, faculty, staff, alumni and community clients. The programs are designed to provide early childhood care and education for children 6 weeks to 12 years of age. The center also serves as a site for practicum experiences for university students seeking hands-on learning in the field of early childhood education. 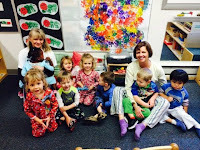 The center is an NAEYC accredited early childhood program and has a Star Level 3 Quality Rating System Certification. For more information contact Stacey Gilmore, director of the UIS Cox Children’s Center at 217/ 206-6610 or shemb1@uis.edu. 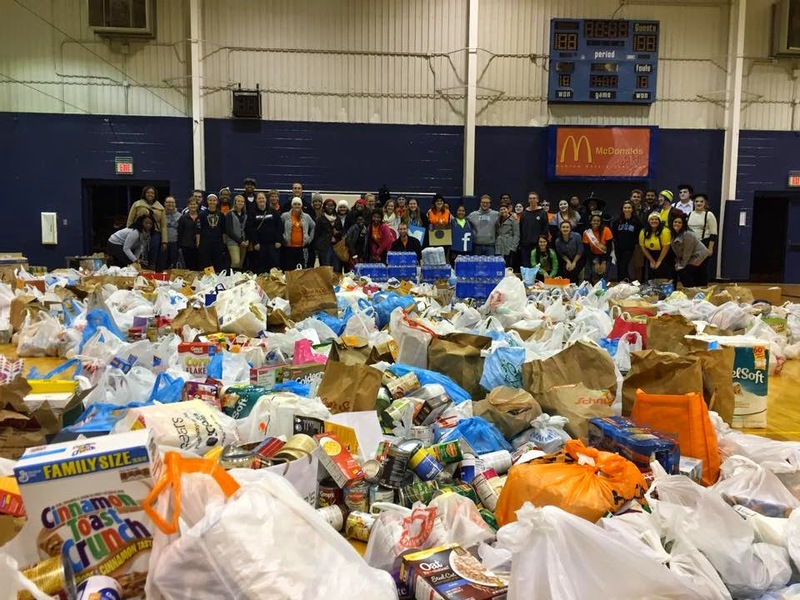 Almost 200 University of Illinois Springfield students helped to collect a record 11,620 pounds of food for the Central Illinois Foodbank on Halloween night. The total breaks a previous Trick or Treat for Canned Goods record of 11,147 pounds of food collected in 2013. Teams of students went door-to-door in several Springfield neighborhoods collecting the canned goods. Earlier this month, the teams canvassed the neighborhoods and distributed door hangers that explained the project. Collected items were returned and weighed on campus. Prizes were awarded to the teams that collected the most food. “Team UnNamed” won the overall prize by collecting 1,928 pounds of food. The Alpha Phi Omega national service fraternity chapter at UIS won the most pounds per team member award by gathering 836 pounds of food with only seven team members. The Central Illinois Foodbank distributes over 8.5 million pounds of food annually to more than 150 food pantries, soup kitchens, residential programs and after-school programs in a 21 county region.